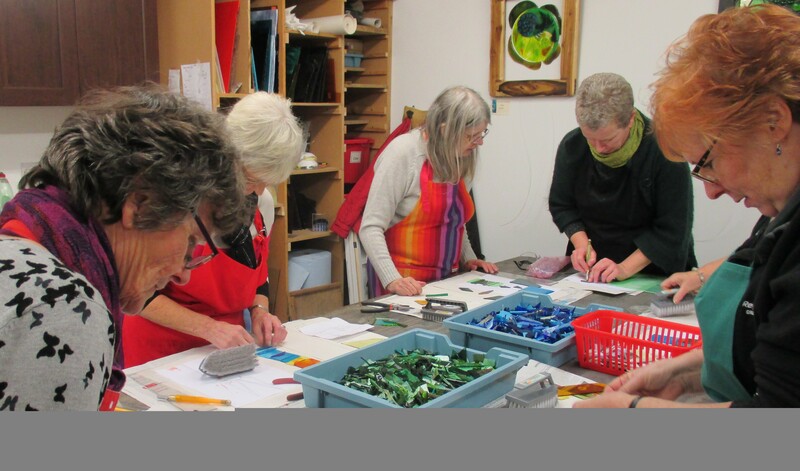 On 11th November 7 of our members had a workshop with Helen Grierson at Gallery 45 in Felton. Our hangings in fused glass came out very well and we were all pleased with them. 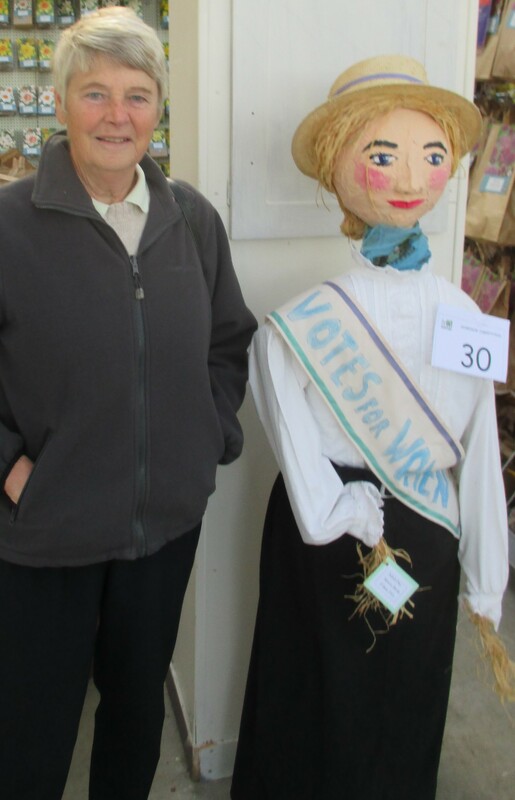 During the November Half term over 40 Scarecrows from various W.I. groups around the county appeared at Heighley Gate Garden Centre for a competition. Shilbottle’s entry was Emily the Suffragette. We didn’t win but enjoyed making her. Shilbottle W.I. is twinned with Bamburgh and on 17th September we enjoyed an excellent lunch before playing croquet, table tennis and board games. We look forward to building on this friendship. After the singing of Jerusalem, the President welcomed Wendy Slater, our Advisor, to the annual meeting of Shilbottle WI. Secretary Linda Law began the ordinary business by reading the record of the April meeting. Congratulations were offered to our team, who won the quiz hosted by Howick WI last week. Thanks were given to helpers and contributors to the Spring Fair, where we made £80 for Hall funds. 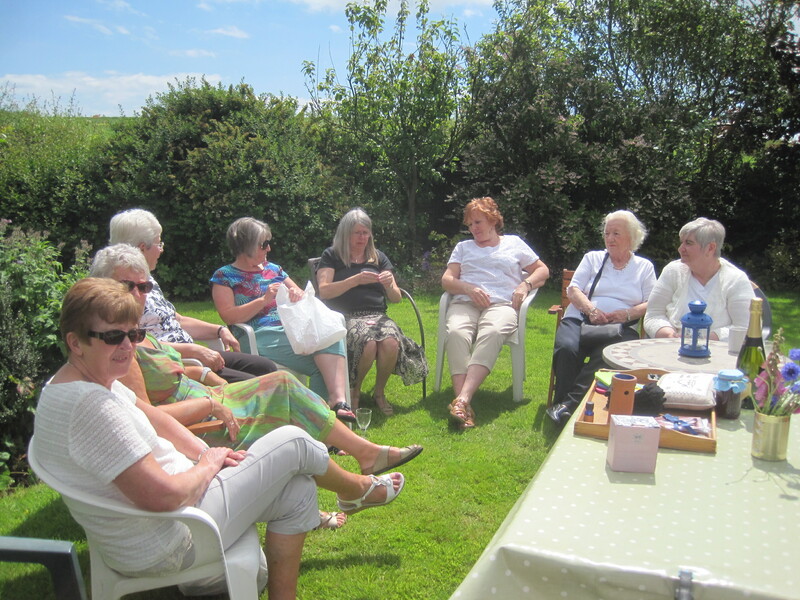 Eight members of Bamburgh WI, with whom we are ‘twinned’, will join us for a games afternoon on Wednesday 28th May. A long list of ‘dates for your diary ‘ for the coming month was distributed. Our treasurer Isabel Watson then presented the Financial Statement which showed a healthy balance. Following this, Linda Law presented the Committee’s Annual Report, outlining some of the events, visits and speakers included in our past year’s programme, which reminded us of the variety and breadth of our interests and activities. Fliss Edmunds gave the President’s address, in which she thanked the members and committee for making her first year as President so enjoyable, and reminded the members that the committee were always open to suggestions and comments about the programme of events. Wendy then talked about and lead us through the vote on the Resolution, ‘increasing organ donation’, which was passed unanimously. The eight committee members stood again and were joined by Denise Mackay. Fliss Edmunds was re-elected as President. 1st – Linda Law, 2nd – Linda Shaw, 3rd – Isabel Watson. Pat Lough gave a vote of thanks to the officers and committee, and the evening was rounded off by a good Northumbrian pie and pea supper! Next month’s meeting is on Thursday 19th June at Shilbottle Community Hall. Linda Shaw chaired the April Shilbottle W.I. meeting which coincided with Maundy Thursday so our numbers were depleted. However guests from Alnwick, Lesbury and Acklington helped swell the audience to watch Daniel Turnbull give a very skilful demonstration of butchery. He had soon prepared a fillet of pork with stuffing, shin of beef off the bone and a neatly rolled shoulder of lamb. He kindly donated the lamb joint for the raffle, which was won by one of our visitors. The bowls team were undefeated in their matches and got to the semi-finals where they were beaten on shots at St James’ in Alnwick. In the County final at Stannington, the Dominoes team were narrowly beaten by Humshaugh. We have a good selection of paintings going to the exhibition at Highley Gate garden centre, which shows how talented our members are in various activities. Linda Law had attended an excellent conference entitled ”Inspiring Women Working Together “ at St James’ Park Newcastle when the National federation had a number of speakers elaborating on the work of the W.I. We will be manning a Cakes and Produce stall at the Spring Fair on 26th April to provide funds for Shilbottle Community Hall. The Annual Meeting is on 15th May at where we will be serving Pie and Peas. We have attended many events organised by the Northumberland Federation of W.I.s at Cresswell House at Seaton Burn. The sports and leisure sub- committee held a lively scrabble competition with lunch. On International Women’s Day we had a two-hour walk, which demonstrated how far some women in the developing countries go every day to carry water. This was followed by talks including one about conditions for women in Nepal. Fliss attended a creative writing course which had women in the First World War as the theme, The Council Meeting this year was held in the Royal Grammar School, Gosforth and our delegate and members were entertained by various speakers after the normal business had been carried out. This occasion is always a chance to see other members and find out what is happening on a national and county level. The Centenary baton passed through Northumberland in March on its way around the country to celebrate 100 years since establishment of the W.I. in 1915. Bamburgh was the perfect setting for this ceremony. At the February meeting of Shilbottle W.I. we had a good turnout to listen to Helen Grierson From A1 Glass Studio. She had brought along a stunning displayed of her fused and stained glass. She explained how she had developed her business taking on commissions and running workshops where she passes on her knowledge of working with this fascinating material. She is moving to Gallery 45 in Felton and some of us may be interested in taking up some of her classes. We had brought along a collection of objects made of glass for the competition and Barbara Thompson was judged to be the winner from a wide variety of entries. The majority of the members had attended the regular Indian Meal at the Bengal Cottage and had their usual warm welcome with tasty food. The next meal out will be the Spring lunch at and names were taken at the February meeting. The Book group are going to the Playhouse to see the “Book Thief” as this was one of their set books. Some members are going to the Spring Council Meeting at the Royal Grammar School in Newcastle on 1st March and later in March we will have representatives at International Women’s Day at Cresswell House. At the first meeting of the New Year Fliss Edmunds welcomed members and 2 new faces to Shilbottle W.I. Those who attended the User Group New Year party at Shilbottle Community Hall had had a good night out with excellent entertainment from Avril Huntly and friends. We are looking forward to the Indian Meal at Bengal cottage and the usual walking and book group meetings. We took in the voting slips for the resolution to be presented to the National A.G.M. Our speaker, Steven Wylie from the SHAK dog rescue centre, set up a striking display of some of his canine friends before explaining how he had developed and expanded his enterprise over the last 3 years. He takes in neglected abandoned and badly neglected dogs from all over the country and at present has 55 dogs in his kennels. The Jam Jar Army has been a very useful financial help this year as unfortunately there always seem to be cases in need his care and attention. Linda Shaw gave a well-deserved vote of thanks after a selection of questions from the audience.